If you read through the policy statement from July 2006 it sounds as if it were written by American central bank officials in July 2016. Swap out the year and the country and you really wouldn’t be able to tell the difference. Japan’s economy continues to expand moderately, with domestic and external demand and also the corporate and household sectors well in balance. The economy is likely to expand for a sustained period…The year-on-year rate of change in consumer prices is projected to continue to follow a positive trend. On the future path of monetary policy, the Bank will conduct monetary policy by carefully assessing economic activity and prices.  The Bank will adjust the level of the policy interest rate gradually in the light of developments in economic activity and prices if they follow the projection presented in the Outlook Report. In this process, an accommodative monetary environment ensuing from very low interest rates will probably be maintained for some time. 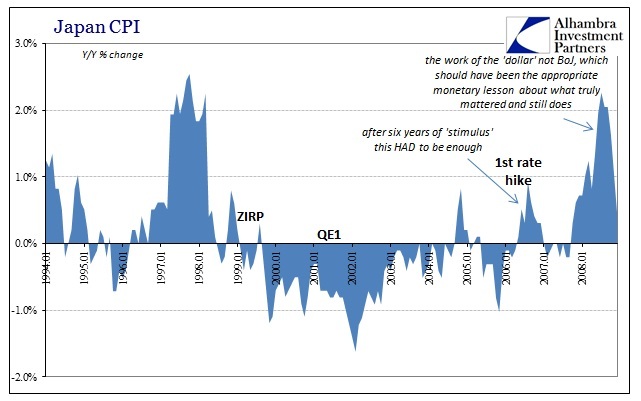 As with almost everything with regard to global monetary policies, the Fed merely copied the Bank of Japan with about a decade lag (give or take a few years). The idea of “lower for longer” wasn’t made in the USA, it was designed and first implemented overseas by the Japanese. Every policy statement since the FOMC’s December rate decision could have easily just reprinted what I quoted above. And US monetary officials are making the same mistake the Japanese made; they would only get as far as a second rate hike in early 2007 because of it. The reason is the same as now – they mistook the absence of contraction as if it were the start of stable, renewed growth. Not paying any attention to actual monetary conditions, it didn’t matter how narrow the data was in furtherance of that interpretation; BoJ policymakers saw what they wanted to see and used that as if the appropriate standard. In their case it was the CPI back on the plus side (but only temporarily), while in the US since 2014 it has been the official unemployment rate that excludes far too many. No matter which side of the “output gap” which central bank preferred, none of it was real. It was and remains nothing more than confirmation bias because policymakers on all sides in all times will not allow their rigid ideology to admit that “stimulus” doesn’t work. 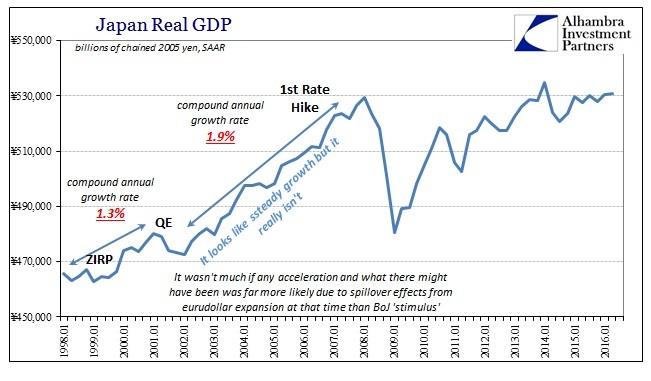 After so many years of it where it only increases through time, as the BoJ admits in its 2006 statement, you would think that it wouldn’t take such a slanted perception to find its effects; they should be obvious due to an obvious recovery. Instead, because it had and has taken years, the criteria by which “stimulus” is to be judged is first whittled and then left to a single number. Even many Japanese see it that way, as St. Louis Fed President explained earlier this year in May. It is true because the FOMC has no idea what it is doing, just like Bank of Japan officials about a decade before them. Rather than learn from all the experimentation, the power and prestige still, somehow, afforded to all of them is just too much to give up. They would clearly rather keep themselves on top of the political power structure as it relates to the economy than to admit what is increasingly obvious (a second time) and allow a real recovery that doesn’t need them – and, in fact, won’t ever come about until they get the hell out of the way.